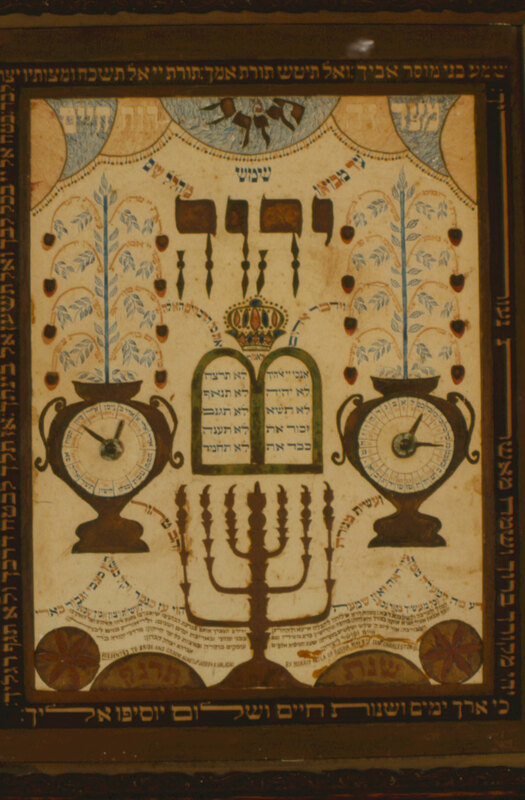 A mizrah, meaning “east,” is a drawing or tapestry symbolizing hopes for the restoration of the Temple in Jerusalem. It is hung on the east wall of a house to indicate the direction to pray. 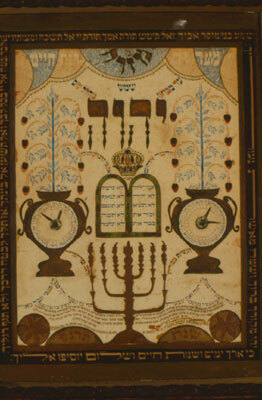 Mordecai Patla, the Hebrew scholar and scribe who made this mizrah, emigrated from Kiev, Russia, to Savannah, Georgia, and settled in Charleston in 1880.